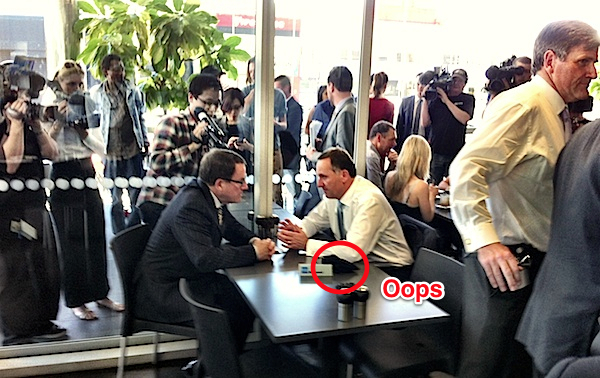 No retrospective view of his career would be complete without mention of the now infamous ‘cup of tea’ with John Key at Newmarket’s Urban café. I was lucky enough to get a lift from Mr Banks to the event in his yellow ACT Party sign-written car. What transpired was a political stunt which became a farce when the Prime Minister refused to go further than ‘sending a clear signal’ to Epsom voters. A ‘dirty deal’ Patrick Gower insists on calling it — well, maybe he’s got a point. I believe the slide in the Prime Minister’s popularity (at least with the media) was worsened by that event and the aftermath of the ‘teapot tapes’ investigation. Police were called to the Beehive and tasked with serving search warrants on newsrooms … and there were heavy-handed police threats to other media. The Henry inquiry into the leaked Kitteridge report — an inquiry which trampled news media rights and protections with invasive surveillance of Fairfax’s intrepid Andrea Vance — was a clear outworking of the same Nixonian ‘media as enemy’ mindset which, sadly, seems to exist in some members of the Key Administration. Pity. Anyway, this isn’t the time to go into all that. For context see: Mystery object was a bug! You may also be interested in reading: Is John Key ‘hugging a corpse’? Does he have a choice?